This week, in some ways, felt a bit like the calm before the storm. Apple announced a special event coming next week, we shared the stories of various unusual Macs, and of course we offered our usual slew of reviews, how-tos, and news. We scored invitations to Apple’s “A little more to show you” event. The “little” in the invitation’s text had us all thinking “iPad mini,” but the colorful background had us all thinking “Apple invented an iRainbow.” We’ll find out definitively early next week, and of course Macworld will provide live coverage from California. You can listen in on our ruminations on the upcoming event in this week’s edition of the Macworld podcast. Your MacBook Air lacks a CD/DVD drive, and your disc just won’t fit in the USB port no matter how hard you push. Luckily, we can guide you on how to use such discs with your Air. Perhaps in the past, you’ve struggled with connecting to a server. Next time, introduce yourself before you order your meal. And if you’re actually having difficulties connecting to a server of the digital variety, then perhaps this story on eight ways to connect to a remote server can help. It’s too early to say whether Apple’s caught lightning in a bottle with the new tiny port on iOS devices and iPods, but we do know everything there is to know about the company’s two Lightning to 30-pin adapters. If you’ve been waiting on (30) pins and needles for a hands-on with those adapters, you’re in luck. And you may need a hobby. Mac beginners will appreciate this primer on windows—and yes, we mean the kind on your Mac’s desktop, not that operating system people who abhor happiness rely on. Advanced users might enjoy our guide on playing iPhone media through iTunes—yep, it really can be done. Travelling this holiday season? We can’t help you with the TSA, but we can offer up some tips on essential accessories and travel bag basics. We liked two of Apple’s new iPods. Read our exhaustive reviews of the 7th-generation iPod nano and the 5th-generation iPod touch. Remember, though, that in every generation, there is a slayer. If you’re more interested in Macs, well, we don’t have any new ones to review—yet. Ask again after next week’s Apple event. In the meantime, though, we’ve assembled the five weirdest Macs ever, and a separate list of the six rarest Macs of all time. Is there any overlap? You’ll have to read the articles to find out! We also put together a roundup of 27-inch displays. The television in my family room growing up was smaller than that. We reviewed Bad Piggies for iPhone; it’s the thrilling sequel to Angry Birds. I’ll never forgive them for not naming it Angry Birds 2: The Angrenning. We also reviewed apps with fewer unhappy avians and swine, like Mountain Lion’s Mail 6. There wasn’t much to mark down Markdown iOS editor WriteUp for; read the review to see why it earned four blue mice. We found the fiction writer’s tool Persona non grata. For dealing with real-world humans, though, we really liked Tweetbot for Mac. As we so often do, we spent some time this week with our head in the clouds. Specifically, for this rundown of how iCloud gets sharing wrong. At least Macworld appreciates the fact that sharing is caring. 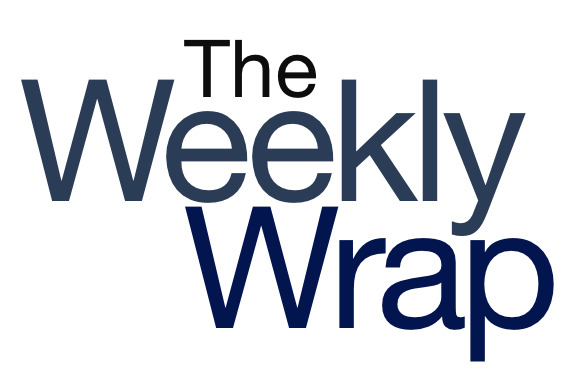 We’ll be back here next week to share another roundup of our biggest stories from the week gone by.